Dr. Larry Murphy grew up in Mineral Wells, Texas. He graduated from the University of North Texas in 1978 and received his Doctorate in Dental Surgery from the University of Texas Dental Branch in Houston in 1982. Dr. Murphy is a member of the American Dental Society, the Texas Dental Association, and the Fort Worth District Dental Society. He has served as past president of the Springtown Education Foundation, a board member of the Springtown Chamber of Commerce, and a charter member of the Springtown Optimist Club. Dr. Murphy married his high school sweetheart, Elaine, in 1976. They have lived in Springtown since 1982 where Dr. Murphy started his dental practice. He attends First Baptist Church in Springtown and has taught ninth grade boys Sunday School for 25 years. 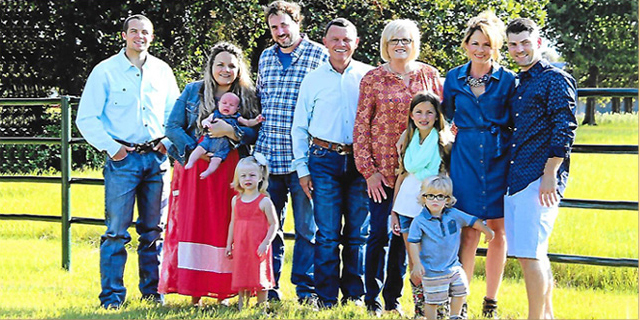 Larry and Elaine have three children: Laura (who is married to Joe Deane and has two children - Lola and Grayson), Brittany (who is married to Josh Fields and has two children Pearl and Asa), and they have one son Austin Murphy.